Angel Tree, a program of Prison Fellowship, reaches out to the children of prisoners and their families with the love of Christ by purchasing a Christmas gift for an inmate to give to their child. This unique ministry gives you an opportunity to share God’s love by helping to meet the physical, emotional, and spiritual needs of the families of prisoners in our community – from Eau Claire to Wausau to Hayward to Colby. 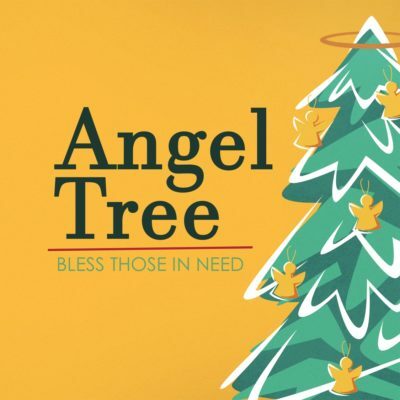 If you are interest in partnering or would like more information, visit the Angel Tree in the FBC foyer. If you have questions, please contact Barb Thompson. For more information about this ministry, visit prisonfellowship.org/about/angel-tree.